What kind of shape is your Macon or Warner Robins deck in? Deck Safety Month® is observed annually each May. With this in mind, as the month draws to a close, experts at the North American Deck and Railing Association (NADRA) recommend homeowners Check Your Deck® before starting to plan family activities. Here at Archadeck of Central Georgia, we cannot stress the importance of checking your deck enough. For many, Memorial Day signifies the kickoff of the outdoor living season. This means you and your family will most likely be spending a lot more time outdoors, including your backyard deck. Your deck is the perfect place to enjoy warm weather with friends and loved ones. However, a poorly maintained or unsafe deck could possibly collapse, causing serious injuries to you and your guests. One of our most recent deck rebuilds is underway as the result of such a deck collapse. 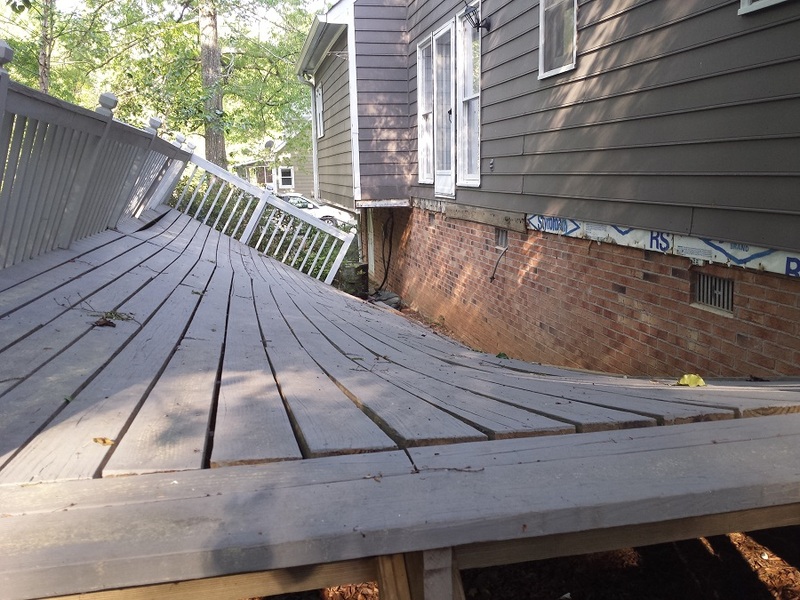 The homeowner, from Macon, GA, contacted us after his aged wooden deck collapsed while he was on it! The deck had been attached to the home using nails instead of bolts. Those nails had become rusted over time, and the deck band also showed signs of rotten wood. 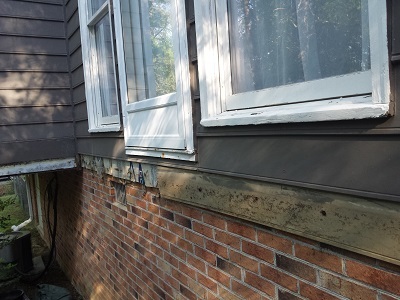 These issues compromised the structural integrity of the deck and led to the deck band pulling away from the home. Thankfully, the homeowner was not injured. During our consultation, Archadeck of Central Georgia discovered the issues which led to the deck failure. 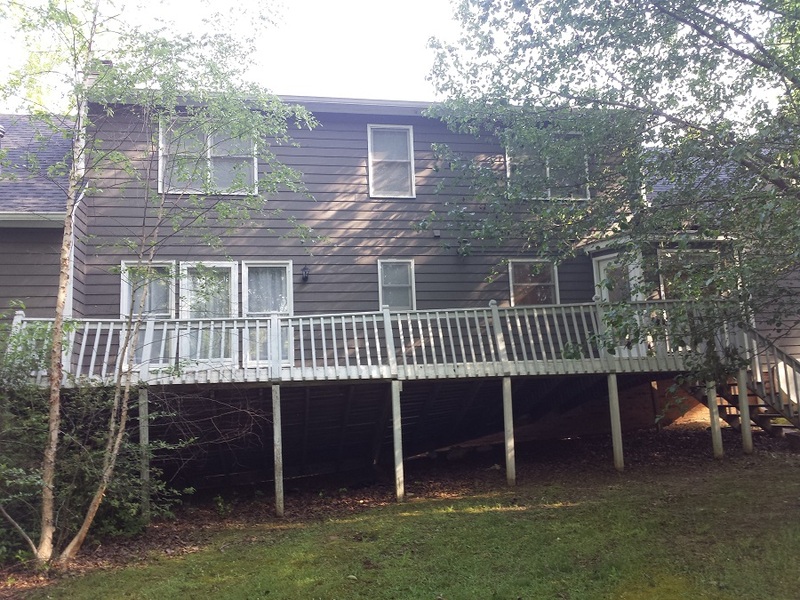 We also noted if a deck inspection would have been performed prior to the collapse the homeowner would have saved a substantial amount having the issues addressed and fixed by a deck professional rather than to have the entire structure rebuilt. This image shows the deck following the collapse. Based on the statistics from the CPSC, 224,000 people were injured nationally due to a deck or porch in the five-year study period. Nearly 15 percent of these injuries were a result of a structural failure or collapse. Archadeck of Central Georgia feels strongly about deck safety. 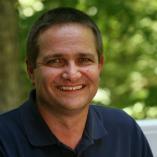 We offer a free deck safety inspection to Central GA homeowners. Our inspection covers all the elements that could compromise your deck’s structural integrity. These include inspection of the decking boards, foundation, footing, framework and connections. We will also inspect the supports, joists, post and beams, and more. 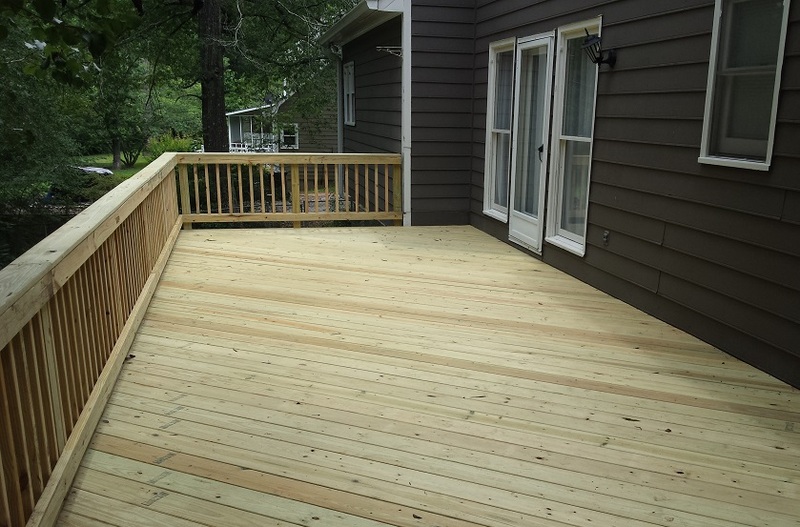 If you have an older deck or you inherited a deck of suspect quality, ensuring your deck’s safety requires attention. We pride ourselves on being outdoor living structure experts and part of that expertise is passing on tips and suggestions to homeowners to help ensure their deck is safe. Here are some helpful details that are crucial to ensure your deck is sound. Homeowners can routinely perform these inspections; however, it is recommended that your professional deck builder is contacted at least annually to conduct a thorough professional deck inspection. Update: Above is a photo of the new deck Archadeck of Central GA completed following the deck collapse.